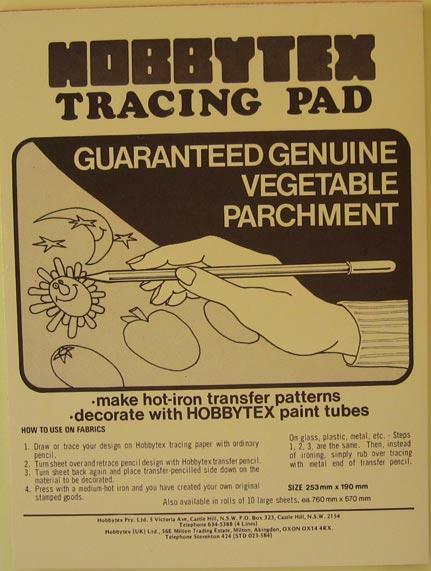 A great special with both the Tracing Paper Pad (50 quarto-size sheets) + Black Transfer Ink Pen. 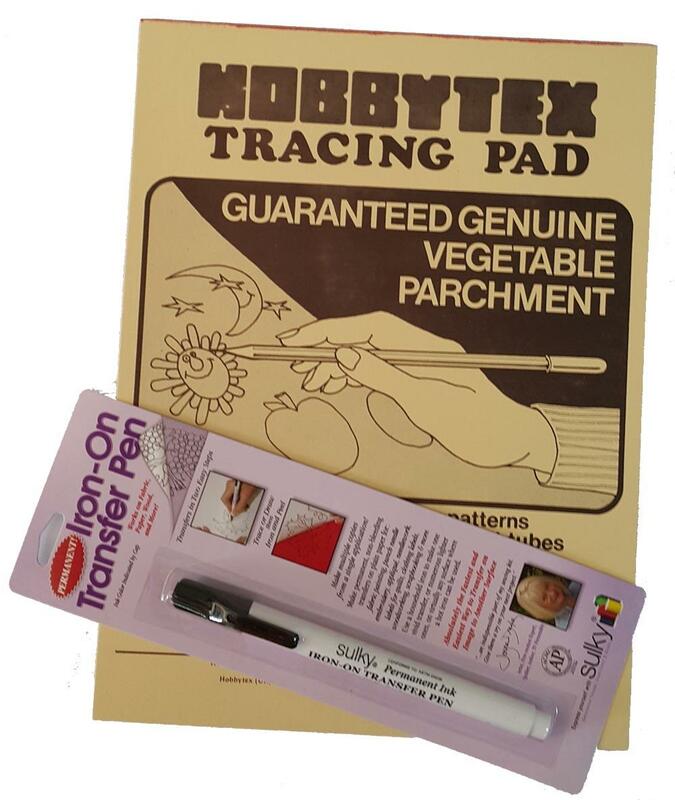 Simply draw or trace a design on the Tracing Paper, using the Hobbytex Transfer Pen. With ink side down, iron design onto any garment, non-woven, canvas and many other surfaces. Then you can paint it!